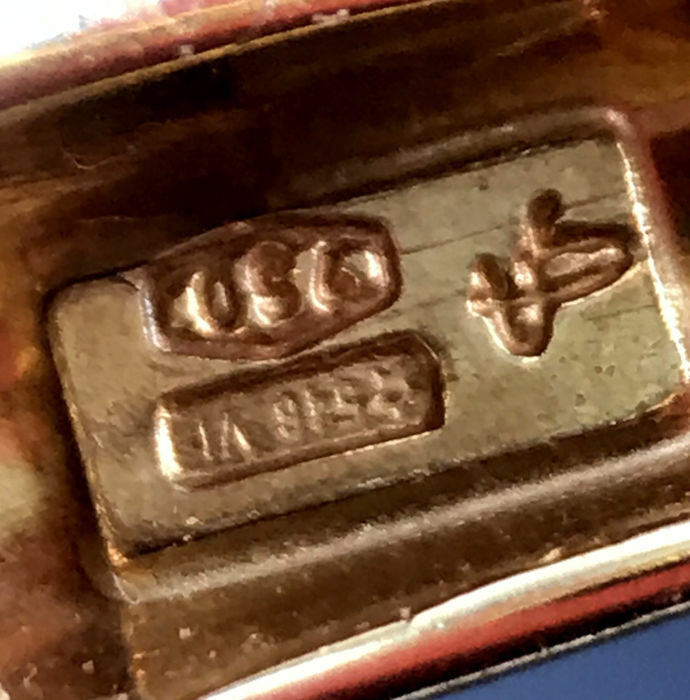 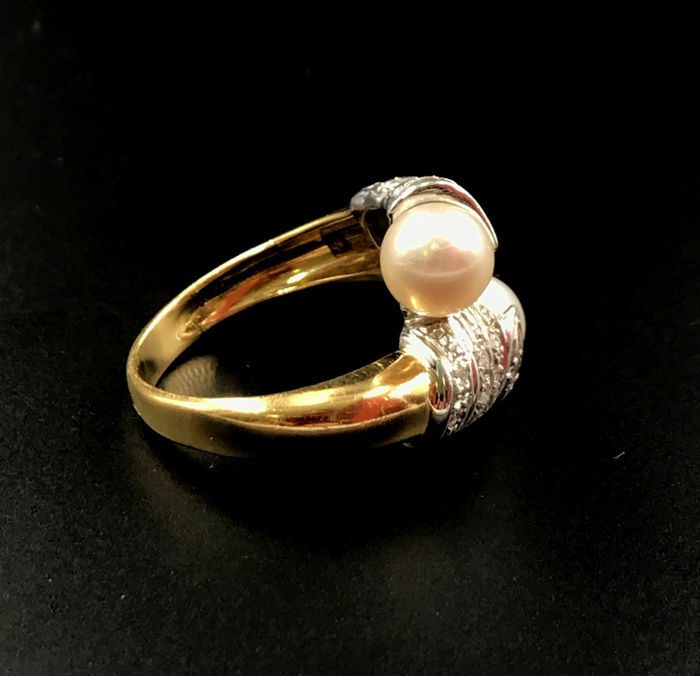 18 kt white and yellow gold. 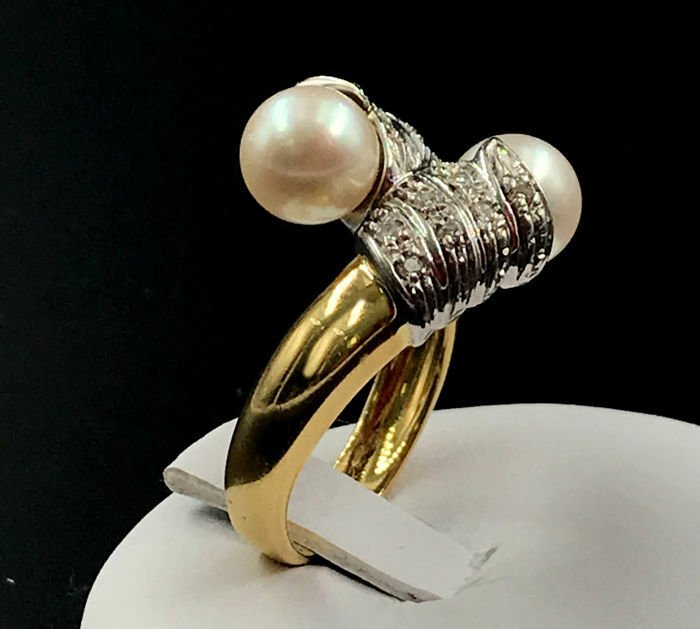 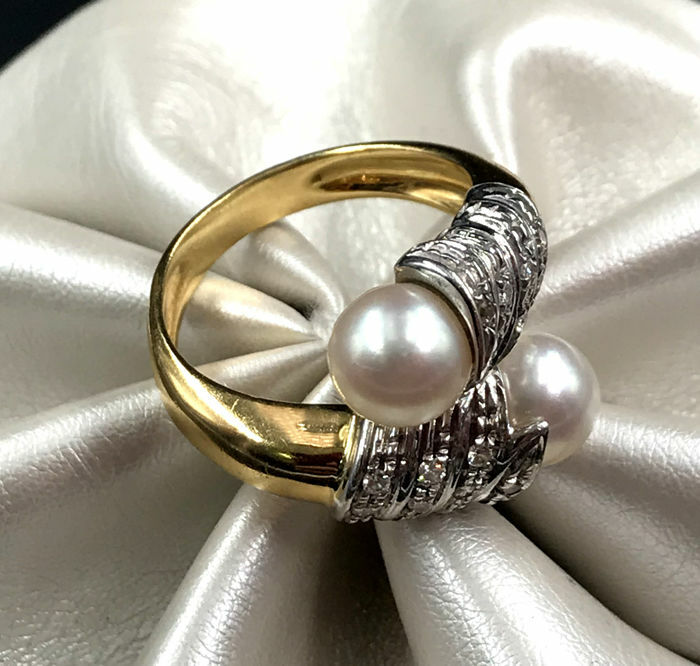 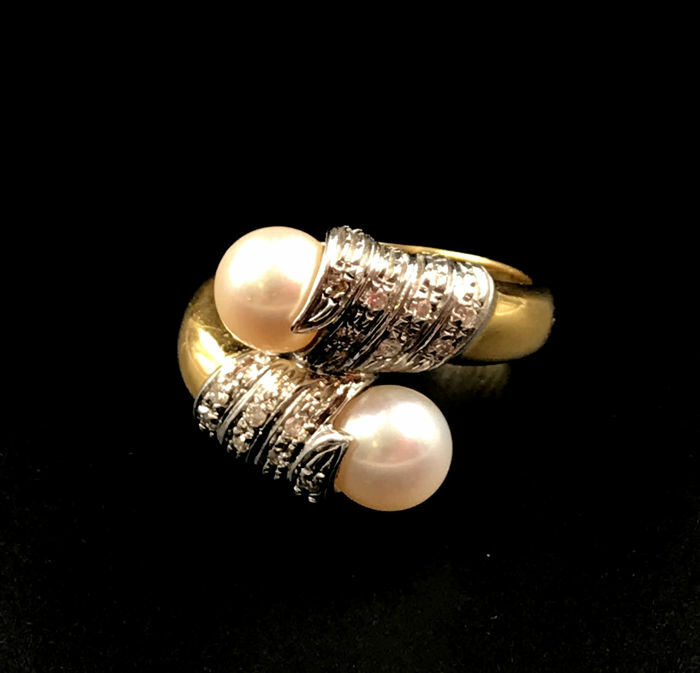 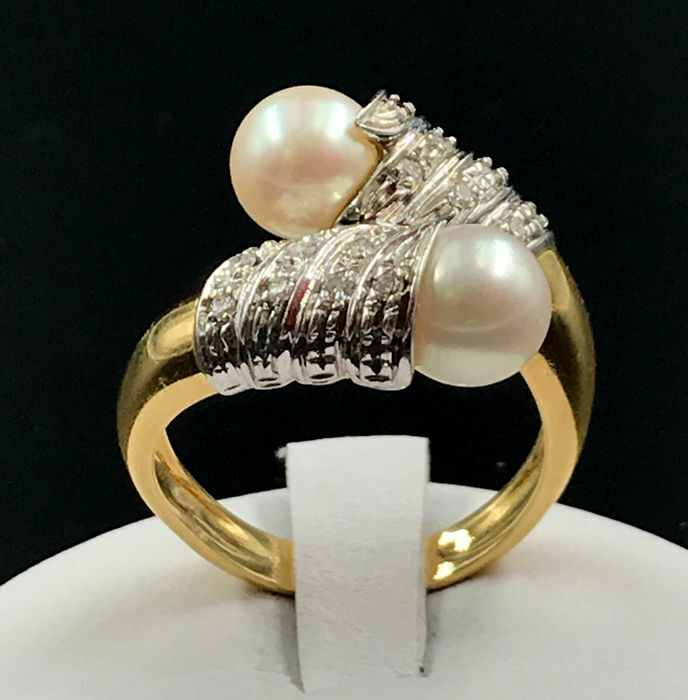 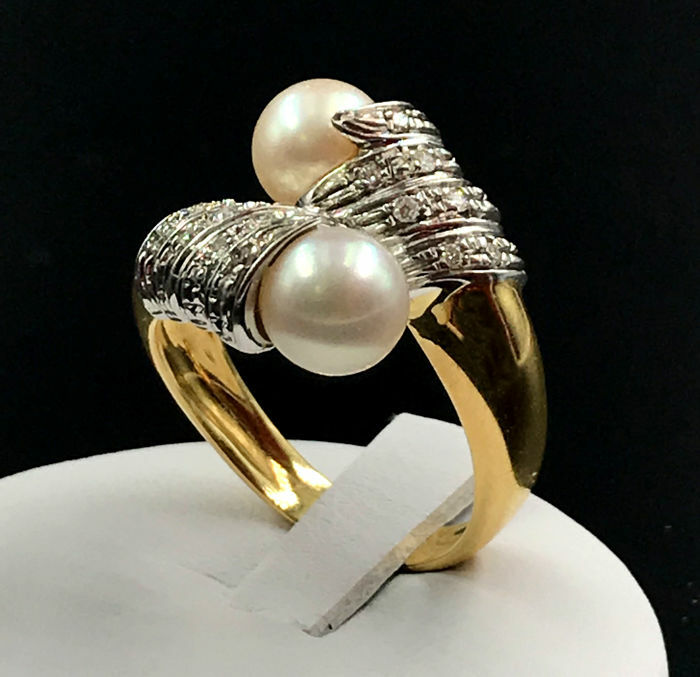 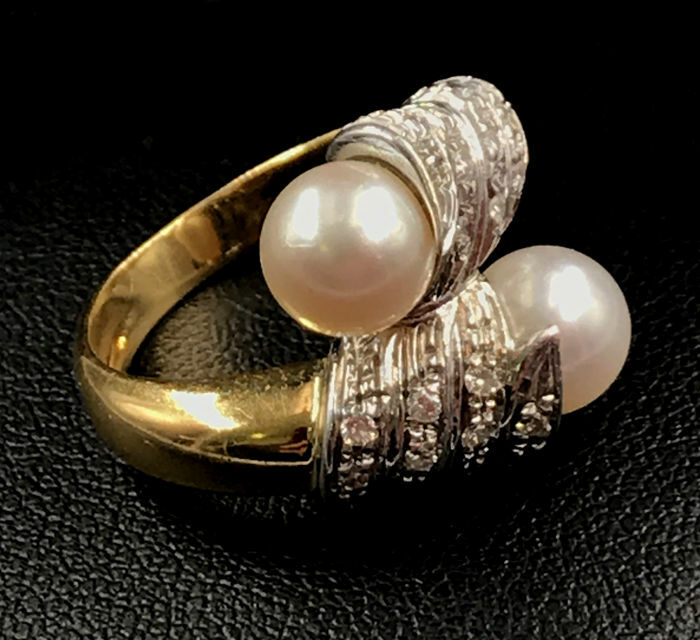 Beautiful ring with 0.14 ct of diamonds and top-quality salt water pearls. 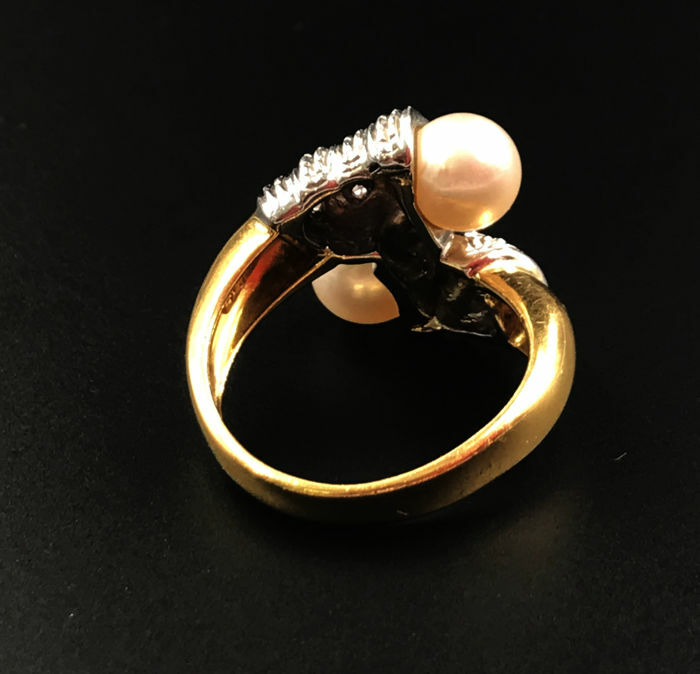 Important note: Adjustable—if the ring is not the correct size, we will resize it for free.